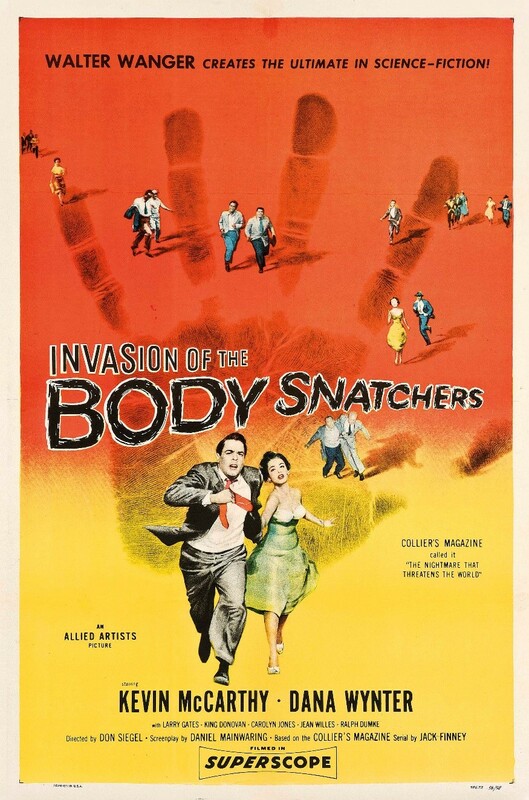 I was 13 when I went to watch the sci-fi film, Invasion of the Body Snatchers. At that time of my life, I was concerned that sometime in the future, humanity might face the onslaught of body snatchers. While the film didn’t concern me in the present, what the future might hold for us did. The movie is about some extraterrestrial aliens planting seed pods, which will give birth to an exact duplicate of the residents of Santa Mira, CA. Dr. Miles Bennell discovers the first seed pod that will reproduce a pod person in Santa Mira, however, the invaders will take over the Earth, not just California. Dr. Bennell and his nurse, Sally Withers, are attempting to escape from the pod people and get help. 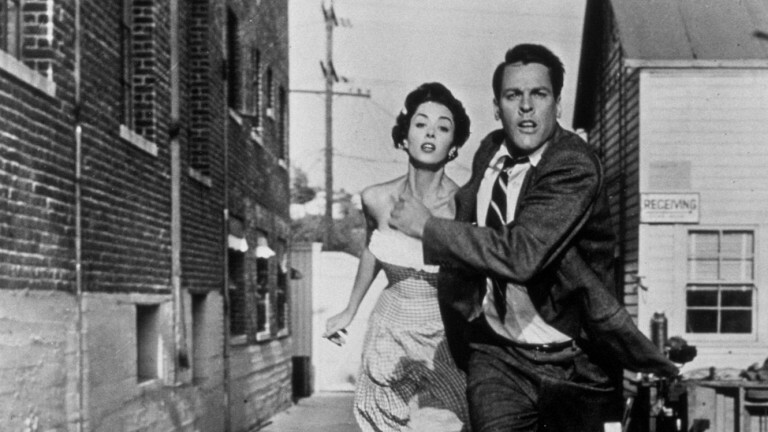 Dr. Bennell and his nurse flee the body snatchers. 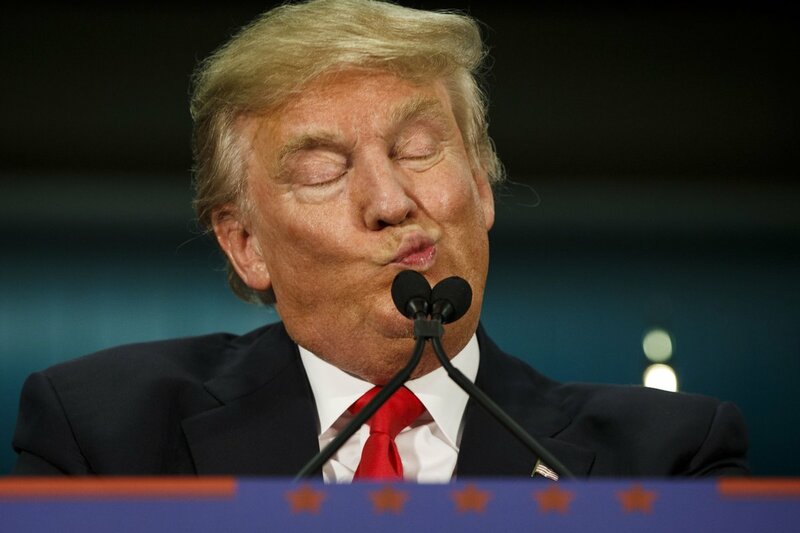 This video is the trailer of Invasion of the Body Snatchers. Interestingly, the movie ends leaving the audience without knowing whether humans defeated the pod people or not. One could surmise, since it has been over six decades without any of the pod people have been seen that we are safe from the body snatchers. Nonetheless, there is a new invasion, and it is taking place on the street that I am living. In fact, the invasion is right in front of my home. My street, Doubletree Drive North, is being invaded by the sewer snatchers for several months already. 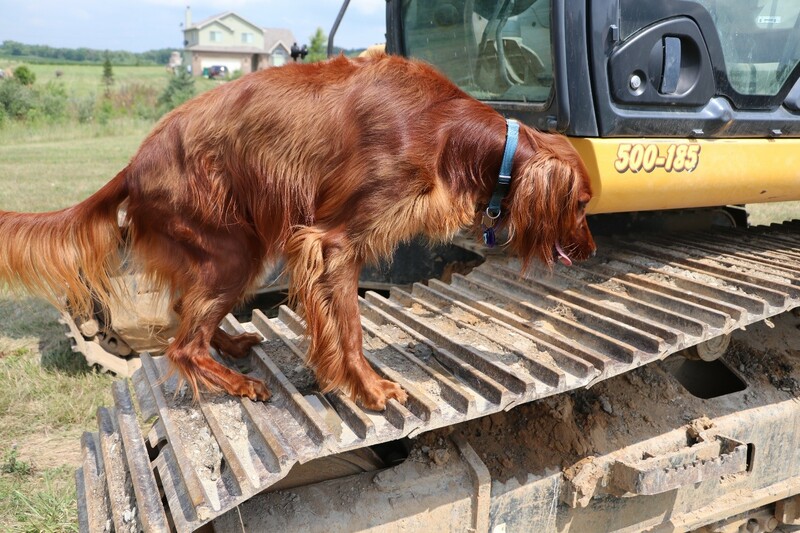 Ginger, my Irish Setter, and I have watched huge machines digging up Doubletree Drive South, which is on the other side of the lake. However, the sewer snatchers are snatching sewers on my street, but my home is close to the beginning of the road. There is easily another half mile or more of sewers to be snatched. Now, you might be wondering why some of the sewer lines, many of which aren’t more than a handful of years old, are being invaded. The sewer in front of my house, which is one of the older sewers, is about fifteen years old. Further down the street, the age of the sewer is much younger. Regardless, sewers made from PVC pipe will easily last more than a century. 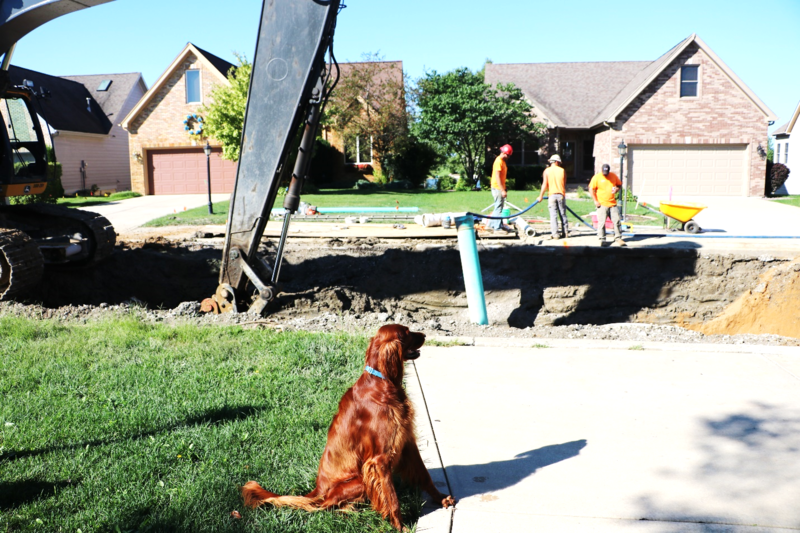 Therefore, why is the town digging sewer lines in much of my subdivision? They not only dug up the sewers on Doubletree Drive South and Doubletree Drive North but also a half dozen side streets. The reason for the sewer snatchers snatching sewers doesn’t make any difference to Ginger. Ginger is protecting my street. 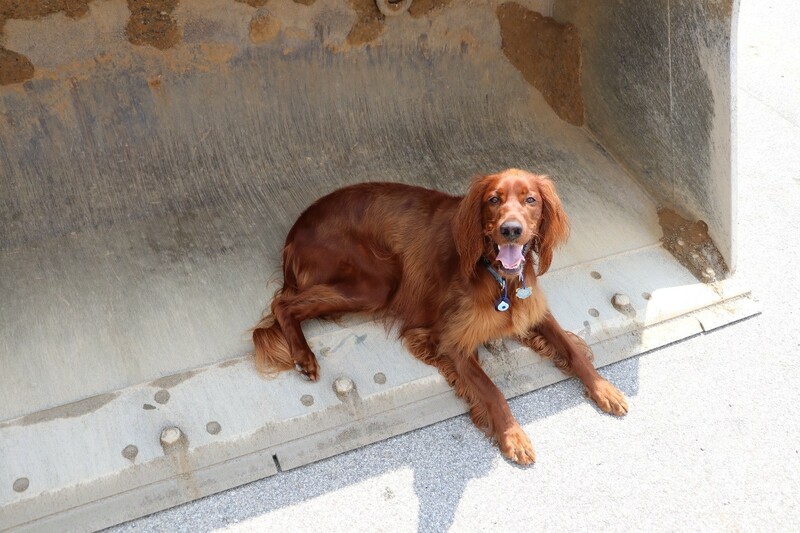 Ginger is my 75-pound Irish Setter and won’t be two years old until late October. Nonetheless, she stopped the huge excavator from working with her frontal attack against one of the huge diggers. This is my attack dog enjoying the reward of her conquest. However, I had to sit Ginger down and explain that she may have won a battle but can’t win the war. I told her about the movie, Invasion of the Body Snatchers. 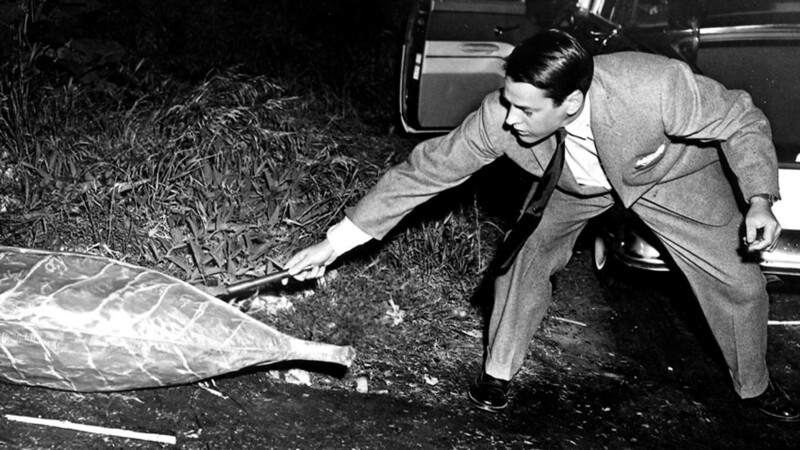 Dr. Bennell protected Santa Mira, CA from the body snatchers, but, not even Ginger will stop the sewer snatchers. My retort was that they will be back tomorrow and many more tomorrows until at least Christmas. I couldn’t believe Ginger used the term, daring do, and I questioned her. I accepted Ginger’s linguistic analysis but pushed my point about the sewer snatchers. 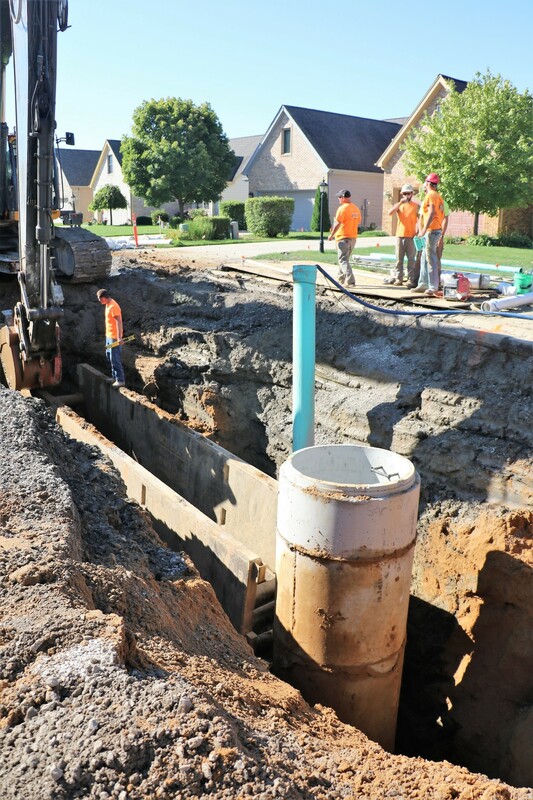 The developer of this subdivision apparently wanted to save some money and cut corners so much that it is costing the town $6 million dollars to replace about two miles of sewers. This includes fixing the line that runs under the lake. All that I could think to say to Ginger is that people will remember all of us for what we do during our lives. The only issue is whether we do things just for ourselves or for others. I only added that it is in giving that we get. I have gotten a lot of love from you, Ginger.